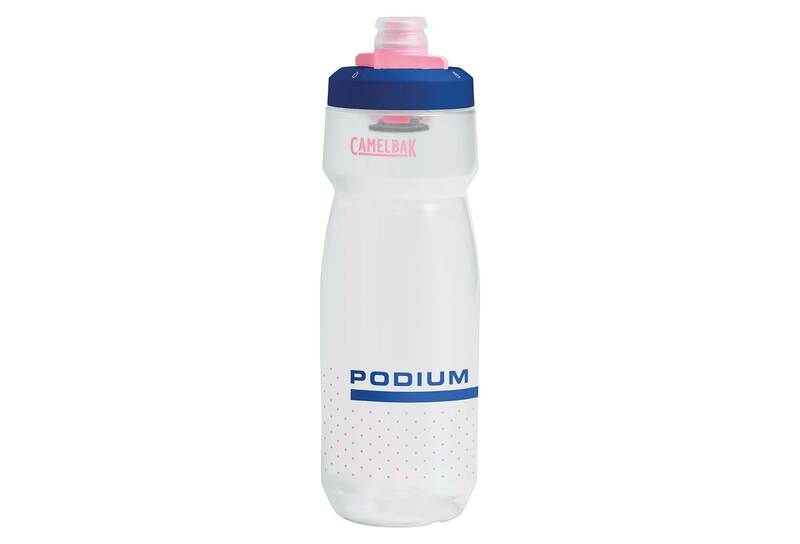 A new design and improved cleanability maintains the Camelbak Podium bottle's position as the best-of-the-best within the cycling industry. This premium bike bottle prioritizes performance and excellent cage fit above all else for both professional and recreational users. Easy to squeeze and always BPA free, the Podium is the ultimate bottle for rapid and reliable hydration. Capacity: 0.71 L / 24 oz. Dimensions: 7.4 x 7.4 x 22.8 cm.